Not all of Oregon’s spectacular or historically significant trees qualify for official statewide recognition. 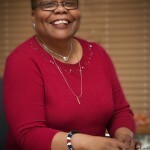 However, many cities and counties maintain their own local registries and recognition programs. 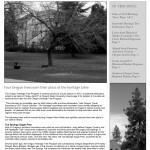 We hope you will find this directory helpful in learning more about Oregon history and arboriculture across the state. 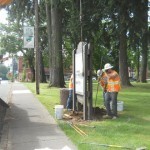 This week, OTE’s sign crew and their Oregon Department of Transportation brethren were onsite at Dayton’s Courthouse Square Park, drilling holes and securing a brand new historic marker into place. OTE’s crew; Mike Bryant, Josh LoBue and Cameron Sulak, were elated that ODOT helped to erect the marker. When OTE assumed management of the Tillamook rest area one year ago, its onsite rest area team embarked on a vigorous campaign to revitalize the surrounding landscape. The team’s goal was to improve visibility and safety for motorists, and at the same time, highlight the rugged beauty of Oregon’s North Coast. 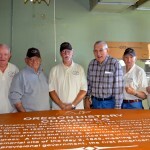 The Oregon Historical Marker Committee regularly reviews text on the program’s iconic “Beaver Board” wooden markers. These periodic text review helps support relevant cultural and ethnic contributions. 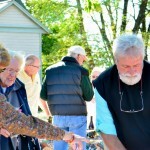 During the mid-20th century, short historical summaries inscribed on markers often described events from an Anglo Saxon view point, while the contributions of indigenous peoples or persons of color was notably absent. 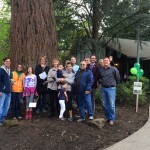 As part of the 2012 Oregon Heritage Tree Statewide Dedication festivities, we’re blog-posting on the four honorees. Up third, a scrappy Illinois Valley survivor of tough soils and challenging climate. 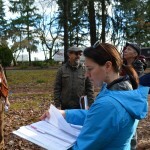 As part of the 2012 Oregon Heritage Tree Statewide Dedication festivities, we’re blog-posting on the four honorees. Up fourth, a tree for romantics and historians. 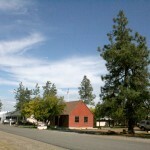 Oregon Travel Experience is proud of its connection to Oregon history. 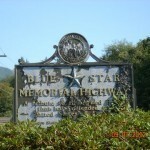 Many people don’t realize that not only do we manage highway business signs and highway safety rest areas, but also oversee two critical heritage programs: Oregon Historical Markers and Oregon Heritage Trees.